Banking sector in India is poised for further growth and expansion, with major public sector banks foraying into largely untapped rural and suburban markets. 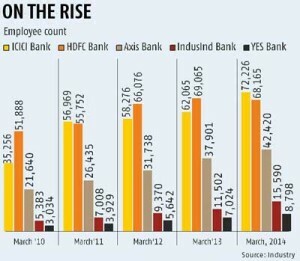 With more than 30% of Indians enjoying direct access to banking institutions, jobs for aspiring bankers are about to multiply. One of the leading online job portals is now showing new directions to banking job seekers in India who are looking for Banking careers. If recent reports are to be believed, banking job sector in India is going to create 15-20 hundred thousand new jobs in a few years from now. Financial experts believe that the futuristic policies of RBI and government are going to create new possibilities for the people who are currently working in this sector as well as for those who are raring to grab employment opportunities offered by the sector. FreshersWorld.com, a leading job portal in India that millions of job seekers use for searching jobs and understanding key trends in various industry segments, has recently added scores of banking jobs to its database. In a bid to close the gap between banking sector key players and aspiring candidates, the e-job portal has also introduced a volley of new features in its service line. Direct hiring in the sector is just one aspect of the continuing growth, whereas ancillary sectors are also creating lots of job opportunities for fresh graduates and mid-level professionals every day. 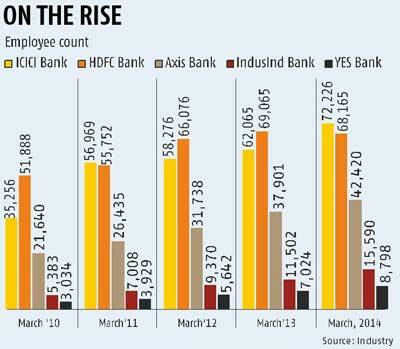 Almost half of the lower and mid-level workforce in public sector banks are about to retire in the next two years. Banks will surely want to fill these positions with new recruits. Besides, private sector banks are also looking to open new branches in Tier-2, -3 and -4 cities. FreshersWorld.com, one of the most popular job search portals in India at this moment, is aiming at making banking job search easier for its current and future users. Anyone looking to get more insights into key trends in banking sector and can receive employment news for other industry segments by registering on FreshersWorld.com. The site offers up-to-date information on banking recruitment, key statistics and much more that have been proved to be beneficial for banking sector job seekers. 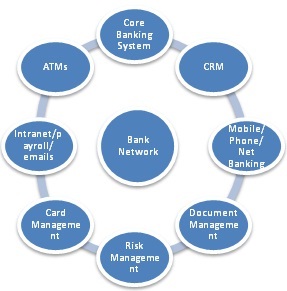 Looking to get more information on positions open with leading banks in India? Simply visit www.freshersworld .com to get latest updates.